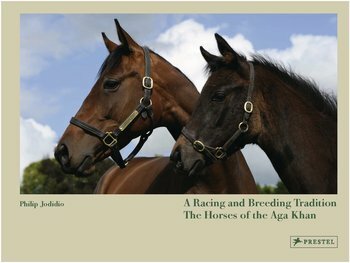 This lavishly illustrated volume highlights fifty years of the horse racing and breeding activities of His Highness the Aga Khan. In addition to his well-known presence in the areas of world affairs and culture, the Aga Khan is passionate about horse racing. His breeding empire has been built on a legacy handed down through generations, and he now owns and operates one of the largest and most successful racing and breeding operations in France and Ireland. This volume traces the history of the Aga Khan Studs through remarkable photographs, engravings and paintings taken from the archives of the Aga Khan. A lengthy interview of His Highness the Aga Khan, and informative essays on what makes a great racehorse combine to create a unique resource for anyone interested in the 'sport of kings'.